From the best local singer-songwriters, world-class pianists and cabaret singers to nationally known R&B, Blues, and Jazz bands, musicians love playing at Vanessie Santa Fe. 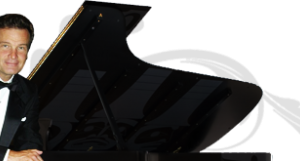 Vanessie’s Lounge is Santa Fe’s only world class Piano Bar and live music venue featuring the critically acclaimed world renowned celebrity Doug Montgomery who has been delighting fans across the globe for over thirty years with his sensational piano performances. Doug calls Vanessie his home at least 4 nights a week and over the years has encouraged and introduced the very best in rhythm and blues, jazz, soul, cabaret, and blues. You never know who’ll be igniting the house on any given night…but you can be sure that every night you will be treated to the best in music and entertainment.